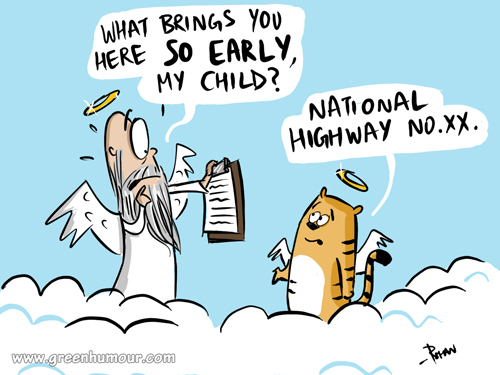 The widening of NH7, that passes right across prime tiger habitat in Central India is sure to spell doom for tigers and several other animals that inhabit these forests and the adjoining corridors. The widening has been sanctioned despite protest and disapproval from surveyors and scientists. A significant fraction of India's tiger population depends on the area in question, and the pressure on these habitats will only increase as the race for development grows irrepressible. 'NH7 Crusaders' is running a signature campaign to avert this decision here.